Kingsley Moghalu, a former banker, wants to become Nigeria's President in 2019. Ahead of the 2019 Nigerian elections, our business journalist, Aisha Salaudeen, spoke with one of Nigeria's presidential candidates on his plan for reforming Nigeria. If you pay attention to the build-up of any Nigerian election, you will hear voters complain about the lack of viable candidates. The country operates a multi-party system that permits an infinite number of registered political parties, but only two of the existing 91 political parties tend to make waves during elections—the People’s Democratic Party (PDP) and the All Progressives Congress (APC). However, perhaps in response to Nigerians clamouring for better options, we are witnessing a slight shift in the political climate and a rise in third-party candidates ahead of the 2019 presidential elections. One of these candidates is Kingsley Moghalu, a former Deputy Governor of the Central Bank of Nigeria (CBN), and now the presidential flagbearer of the Young Progressive Party (YPP), an 18-month old party which boasts of a 3 million strong volunteer force. Moghalu is well-known in Nigeria’s banking circles, having served as the Deputy Governor of the CBN in charge of Financial Stability between 2009 and 2014, a position which saw him play a big role in the creation of AMCON, the most recent major reform in Nigeria’s banking sector. So, how does one go from steering Nigeria’s financial system out of a crisis to running for President? “The current administration has failed the economy. The increasing poverty in Nigeria is the direct reason I have decided to run for the office of the President,” Moghalu brazenly announces at the start of our conversation at the Intercontinental Hotel, Lagos. He is right; Nigeria's economy is in pretty bad shape. A recent recession, fuelled by a collapse in oil prices and a currency crisis, has affected living standards, with over 87 million Nigerians now living in poverty—the highest in the world. 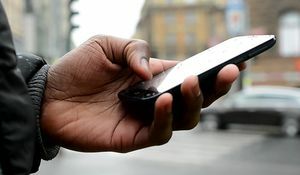 According to a recent report by the World Poverty Clock, the number of people in the country who cannot afford the basic needs to survive increases by six every minute. Moghalu seeks to address poverty by strengthening the human capital base of the economy. “There is a need to align education and skills. When people have the right kind of education they are better equipped to escape poverty especially generational cycles of poverty,” he tells me. It is a view shared by Bill Gates whose visit to Nigeria in early 2018 ended with a clear recommendation to the Nigerian government: invest more in your people. And of course, there is a lot of evidence to support the view that education and training are sustainable vehicles to take people out of poverty. In the absence of these two things, Nigerians will have limited skills to compete in today’s labour market and would end up with low-paying jobs or no jobs at all. Interestingly, Moghalu emphasises women in his drive to eradicate poverty. 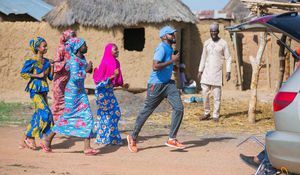 “I believe that the education of women helps break the generational cycles of poverty because those women can now work and fend for themselves,” he says. This focus has merit, as it should also help Nigeria tackle one of its underlying structural issues: excessive population growth. Data and experience from other countries suggest female economic empowerment is a strong precursor to a declining fertility rate. But even the most casual observer would note Nigeria's need for a better education system, so what marks out Moghalu's approach? He intends to create skill acquisition centres in all 774 local governments in the country, with each centre offering practical skills training in Information Technology, welding, carpentry, etc. for school leavers to boost their employability and entrepreneurship skills. While the plan sounds good (and achievable), it shares a few elements with previous administrations' efforts on this front, such as the N-Power program and artisan training plans outlined in the Economic Recovery & Growth Plan. Moreover, one challenge with skill acquisition centres is that they run the risk of becoming obsolete in a dynamic global environment. An alternative would be to collaborate with institutions or individuals interested in creating training hubs for particular industries in targeted regions. This industrial policy should also have a strong technology slant although Nigeria still needs non-technology skills. What is unclear is how these centres would be funded in the long run, a particular concern given Nigeria’s culture of policy inconsistency. To avoid this, the best plan may be to ensure that the centres become self-sustaining, whether by commercialising them (similar to Andela) or relying on alumni contributions. But the poor state of Nigeria’s education system may be the result of a lack of funding, not ideas, so I ask how he would fund these ideas. Moghalu’s response is quick. “My government will also set up a ₦1 trillion venture capital fund that will finance new businesses with equity capital.” Intrigued by the idea, I probe for more details. “Young men and women would start their businesses without having to take bank loans with high interest rates,” he continues. 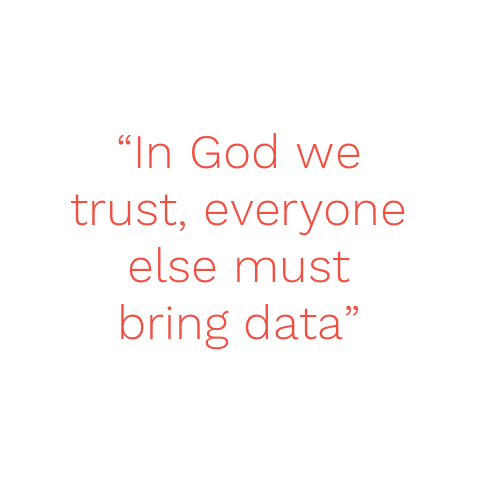 As he speaks, the idea takes shape. The VC fund would become a part-owner of the business, and the private sector would manage the fund while the Federal Government would be a core investor. Still contemplating the idea, I highlight the challenge of the government meeting its financial contributions. “It's not hard. I will reallocate priorities in my government. There are many areas of waste that can fund them,” Moghalu answers. One area of waste he has his eyes on is Nigeria’s petroleum subsidy system which gives us access to some of the cheapest petrol in the world. According to Moghalu, the government spends over ₦1.4 trillion on these subsidies each year. “There are many ways to fund these things. This Government is just intellectually lazy, that's why they have been unable to fund projects,” he concludes. His conviction explains his bold targets for Nigeria’s education sector. Backing up his manifesto, he confirms his intention to increase budget allocation to this Ministry from 7% to 27%. That figure would take Nigeria above South Africa in terms of education spend as a percentage of the total government budget, and keep us in the same league as Ghana, who spend roughly 25% of their annual budget on education, one of the highest in the world. Admirable as that may be, Nigeria’s budget may prove more unwieldy. The Federal Government already spends about a quarter of its budget on debt servicing, a component we can expect to be relatively fixed over the next five years. Meanwhile, if education spending ramped up so significantly, which ministries would lose out? The main candidates would be the Works, Power & Housing and Interior Ministries, two of the largest. While the government could exploit public-private-partnerships to fund infrastructure projects, it is unlikely going to be able to materially slash the budget of any other major ministry in the next few years. Still, on the subject of government finances, Moghalu reminds me that he intends on expanding Nigeria’s tax base. He also correctly identifies the root of Nigeria’s tax problem, saying, “We will have a social contract, and we will make it clear to citizens what to expect from us.” Targeting a tax-GDP ratio of at least 20% (currently at 5%), he shows an understanding of how Nigerians’ understandable unwillingness to trust the government has stalled development and asserts that his administration would take the lead in altering this. He tells me that if elected, he would recruit at least 1.5 million police officers within four years, and ensure that the entire police force goes through the required training. “The police are not well equipped or remunerated therefore they are very corrupt. Police reforms through constitutional reforms will have to address all these issues,” he says matter-of-factly. Moghalu has even grander designs on how to alter Nigeria’s social contract: restructuring and constitutional reform. “I will present an executive bill to the National Assembly showing my vision of constitutional restructuring and mobilising Nigerians to buy into this vision,” he says. I am surprised to hear that he believes that the process—including liaising with the National Assembly, state governors and state assemblies—would be concluded in just two years. Moghalu may have the charisma and nous to sell his restructuring vision to Nigeria if elected, but he would likely be faced with a National Assembly (and State Governors) filled by opposition party members seeking to undermine his ambitions. 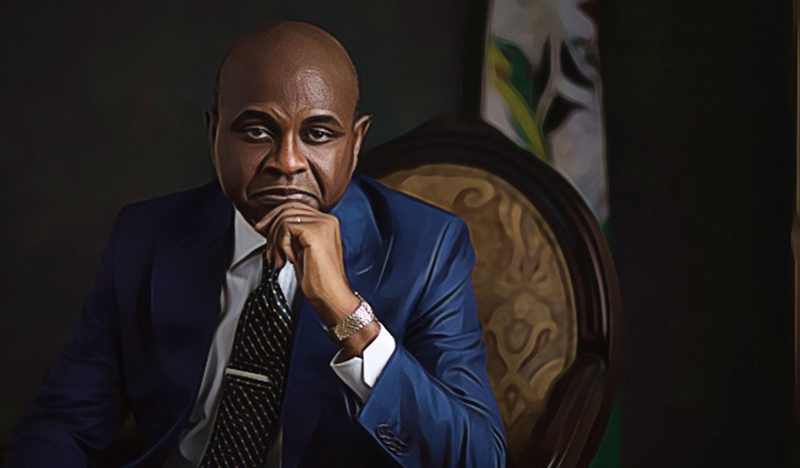 But for Kingsley Moghalu, that status of being outside the political establishment is a strength, not a weakness, particularly when Nigerians can see his expertise in economics, and how he plans to tackle poverty. 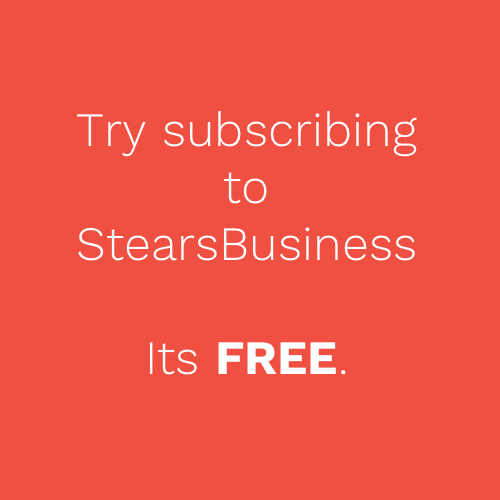 Subscribe to read more Stears Business articles here.